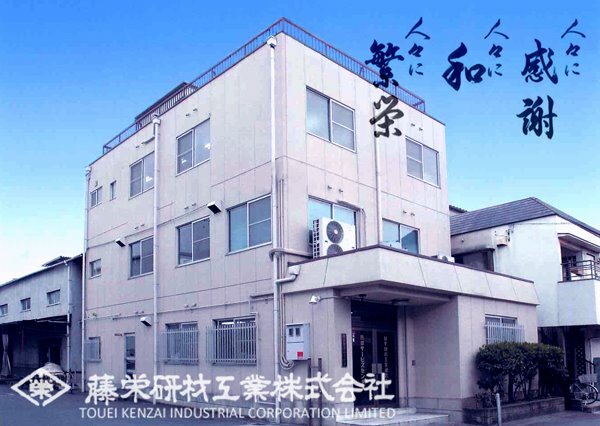 Founded in 1955, TOUEI KENZAI INDUSTRIAL is the one and only trading company in Japan specialising in tools and machinery related to natural stone industry. We handle various products ranging from industrial tools such as diamond tools, stone polishers, to adhesives and chemicals for natural and engineered stones also to cemetery items such as stainless flower vases, incense stick holders, candle holders and so forth. As an official distributor of Japanese manufacturers in the stone industry, you can always contact us for sales and distribution to overseas destinations.